Looking for a comfortable, yet spirited place only minutes from downtown Indianapolis to call home? Then Irvington is just what you’re looking for! Indianapolis is full of charismatic, vibrant, and charming neighborhoods—Historic Irvington being one of the most! It is located just five short miles east of downtown Indianapolis in Warren Township, but has a small town vibe. Irvington is a great place to find the balance between the bustle of the city and the charm of a small town. It's a close-knit community where neighbors hang out together at cherished neighborhood establishments or on each other's front porches. Since the late 1940s, Irvington has been home to the Historic Irvington Halloween Festival, the nation’s oldest and largest Halloween festival. Irvington’s rich history and recent spike in popularity makes it a great place to call home. 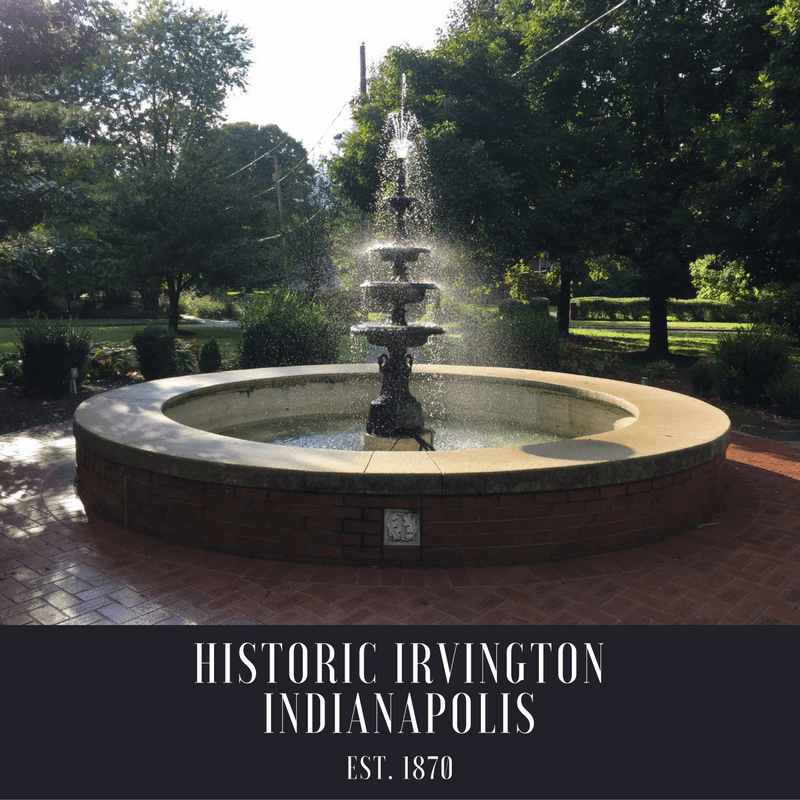 Irvington is full of rich Indianapolis history. Founded in 1870, the town was the first home to Butler University shaping the community to feel close to a college town. Butler brought many prominent academics, artists, and politicians. These figures built many of today’s famous homes, like the Benton House and the Stephenson Mansion, which are rumored to be haunted. The Irving Theater, opened in 1913, was originally built as a nickelodeon. Throughout the century the theatre has been renovated and changed uses multiple times until about the 1990s. Today the theater is open as a music venue for all ages and seats up to 700 guests. The venue hosts any music event small to large and is even a stop on the Irvington Ghost Tour! LOCAL TIP: Love history AND nature? Visit the famous Kile Oak. The Historic Irvington Halloween Festival has been bringing the Halloween and fall spirit to residents and visitors of Irvington since 1947. The festival’s ghoulish activities include the Zombie Bike Ride, Pleasant Run Vampire Run, a pumpkin carving competition, street fair, masquerade ball, and much more! This long-running festival has and continues to be a favorite for Hoosiers all over the state bringing out thousands of Halloween-loving visitors. LOCAL TIP: If you want a head start on Halloween head over to Irvington any weekend in October until Halloween and take the famous ghost tour! Irvington offers irresistible options for date night and family-friendly dining. An Irvington staple, The Legend Classic Irvington Café offers American comfort food that frequenters say rival their favorite home-cooked meals. New to Irvington, but already incredibly popular in Greenfield, is The Mug. The Mug is a “farm-to-curb” restaurant focusing on serving organic comfort food for a reasonable price. Both The Legend and The Mug are perfect places to grab that warm fall meal. OTHER LOCAL FAVORITES: Cafe Caribe, Black Acre Brewing Co., Jockamo's Pizza, and Chef Dan's Southern Comfort. Irvington is a great place for home buyers of all ages and types. There are plenty of amenities—restaurants, shopping, a large park, library, coffeeshops, brewery, and more. There are lots of community groups—everything from knitting to gardening! The neighborhood is in an ideal area for commuting to and from, only five miles from downtown Indianapolis and its location in central Indiana allows for easy travel across the state. And best yet, housing is still affordable. 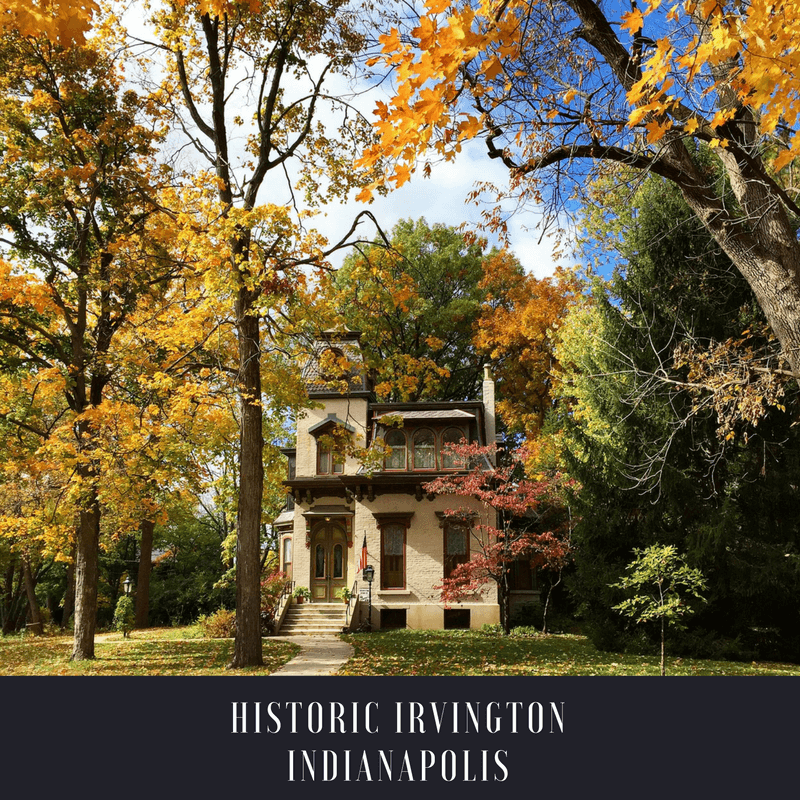 Because the majority of the homes in Irvington are historic, you'll be sure to find something unique and with plenty of character! If you’re interested in this wonderful neighborhood as a new place to call home, Ferris Property Group is here to help! We’re experts on finding your perfect home in Indianapolis and its surrounding towns.